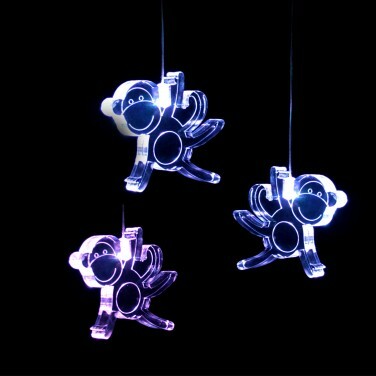 Three little monkeys hang from a central mobile to make the most playful mobile we've seen! 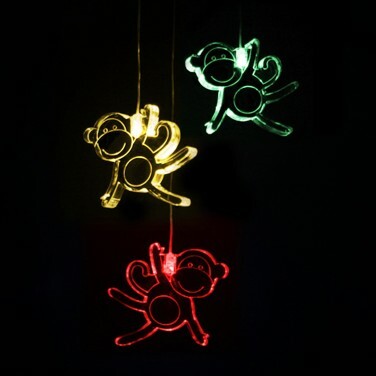 Each clear acrylic monkey is lit by it's own colour change LED that casts colourful light throughout each monkey and onto surrounding surfaces in a soothing light show. Battery operated, this stunning light mobile can be placed anywhere in your child's room to create a relaxing display that will comfort and reassure little ones night after night. This remote control Solar System Mobile will teach your kids all they need to know about our Solar System and makes a stunning night light. A mesmerising mobile and soother combined that will keep little ones captivated from a very early age.